LocalMole Business Profile Our well established business has been here in Glasgow City Centre for over 20 years, we are very proud of our good reputation for quality, design and service. Pop into our Glasgow shop or go on-line to place an order. About Us At Blooms for Flowers, Glasgow, we can make same day deliveries of your flower arrangement to Glasgow and throughout Scotland and UK, just order online. Send flowers for any occasion from Christmas, Mothers day, a birthday, an anniversary, a new baby or to say 'I love you...' What ever the occasion let Blooms Florists of Glasgow deliver flowers and help you make the day a special one. We can deliver your flowers same day for orders placed before 12:30pm. A full sympathy range is on offer and our experienced staff will be on hand to assist you during these difficult times and will handle all requests with care and sensitivity. 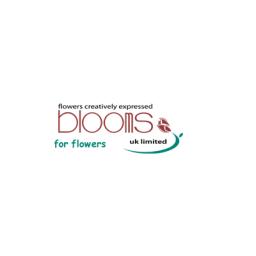 About Us Blooms are a recognised and trusted long established independent florist. Providing inspirational design floristry and reliable service for all occasions and categories. Offering the widest range of fresh flowers and designs exceptional value. With 20 years' experience of creating flowers for every occasion you can rely on us to deliver excellence and attention to detail; from single corsages to large corporate arrangements. Whether you are looking for a traditional bouquet or something with a contemporary twist, we can create a floral arrangement to suit your unique style.Our exquisite flower bouquets are available to order in store, online and via the phone, so it couldn't be easier to choose your perfect gift today. 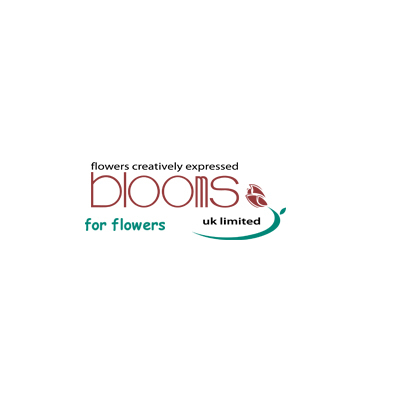 You can collect from store or take advantage of our local delivery service.At Blooms, we have been design wedding flowers for over 25 years. We aim to make this an enjoyable part of your wedding plan, by combining your ideas with our experience to create stunning arrangements.We have a dedicated studio which allows us to discuss your ideas in a quiet environment, without being distracted by our usual business. If you already have examples of displays, this provides a great starting point for a discussion. Alternatively, we can advise on styles and colours to complement your dress, wedding party & other decorations.We have been creating displays for businesses in Glasgow for over 25 years. We specialise in designs to complement existing dcor and corporate colours.Contracts for weekly and fortnightly delivery can be arranged, and we can be creative regardless of your budget. Our well established business has been here in Glasgow City Centre for over 20 years, we are proud of our good reputation for quality, design and service. Whatever your style modern, funky or traditional we can create an arrangement to suit your tastes. As well as our bespoke hand-tied bouquets and arrangements we have an exciting selection of gifts for those special occasions. We are also licensed to sell acohol and offer Champagne and fine wines delivered to the door. Also available, is a wide range of gifts including hand made Belgian chocolates, teddy bears, balloons and a selection of glass vases to name but a few. All of these gifts can be delivered either on their own or as a special finishing touch to your floral gift. We are there for all occasions, Birthdays, Anniversaries, Weddings, New Baby, Get Well. Thank You, Congratulations, Just To Say, Christmas, Valentines Day, Mother;s Day, Father's Day, Graduation and Christenings and many more. Order online or call us on 0141 3328366 We have many years of experience in wedding work. Please arrange an appointment with our bridal expert, who will be only too pleased to help. Check out our Wedding page for more details. A full sympathy range is on offer and our experienced staff will be on hand to assist you during these difficult times and will handle all requests with care and sensitivity. For our larger corporate customers, we will design displays and arrangements sure to brighten up any office or reception area, or even to supply thank you bouquts for your hard working staff or customers. All types of events are catered for from Gala Dinners to Charity Balls and no event is too big or too small!!! Contact us on 0141 332 8366 to discuss your requirements. Thank you for visiting our website.